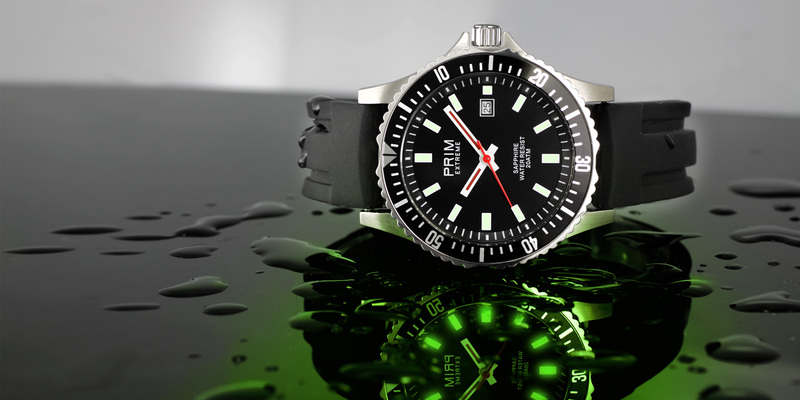 Amen’s sport watch containing a dial fitted with green Extreme Lumini indices in a stainless-steel case with a threaded crown, a steel ring and a silicone strap. 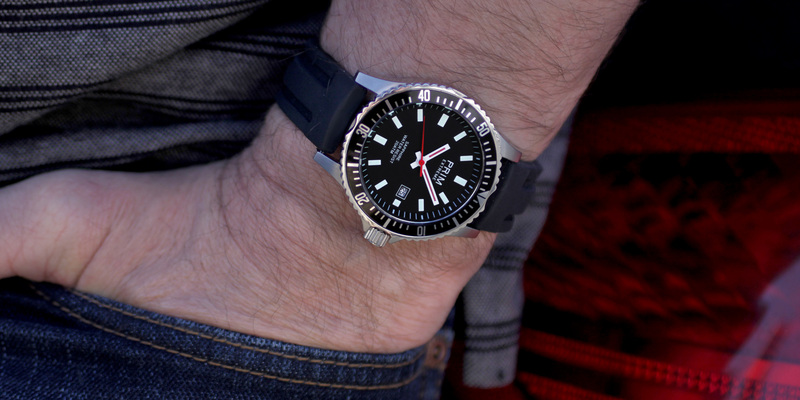 The case of these popular watches is finished by cutting, which gives them the right matt look. 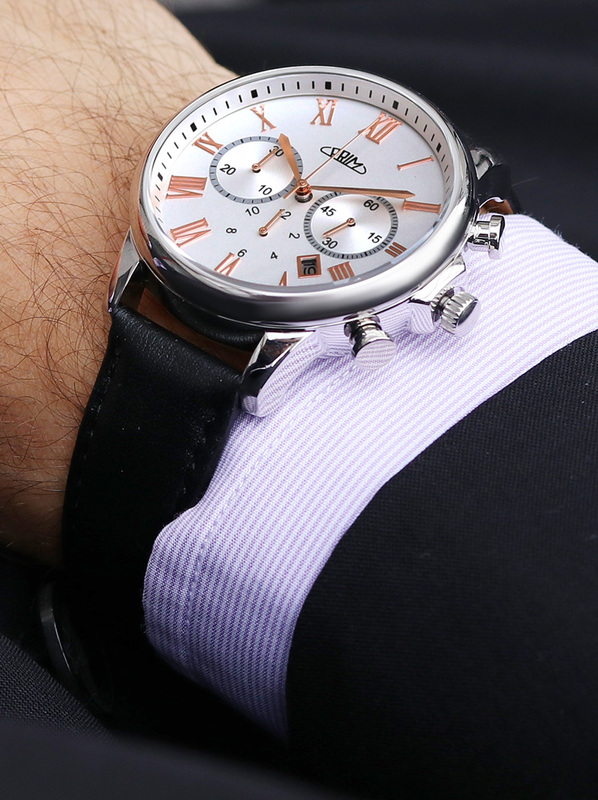 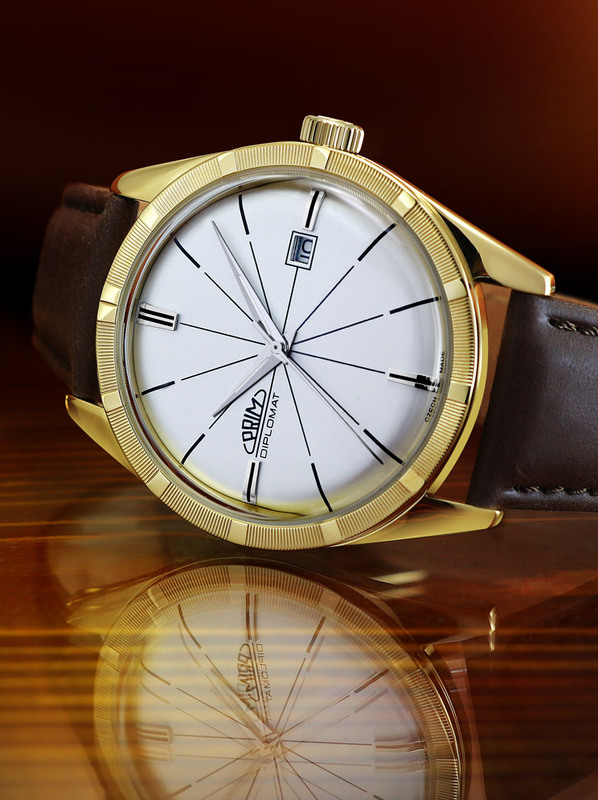 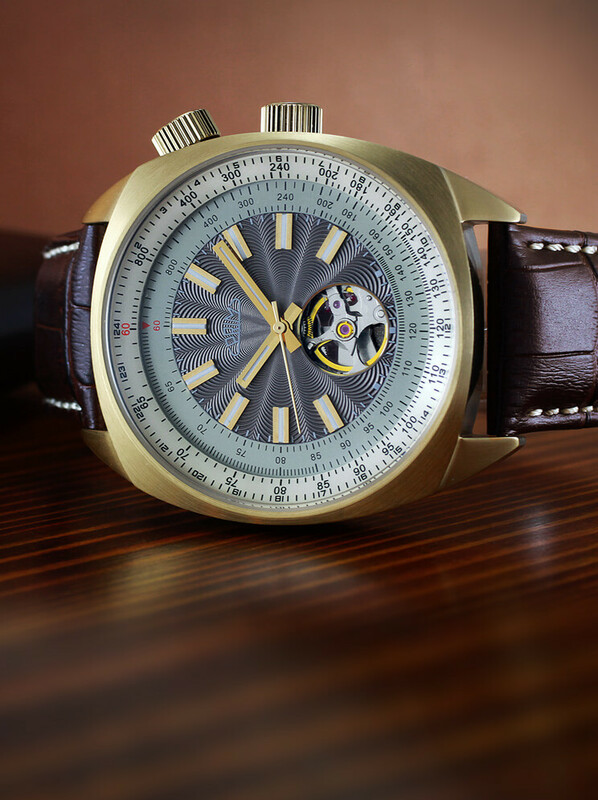 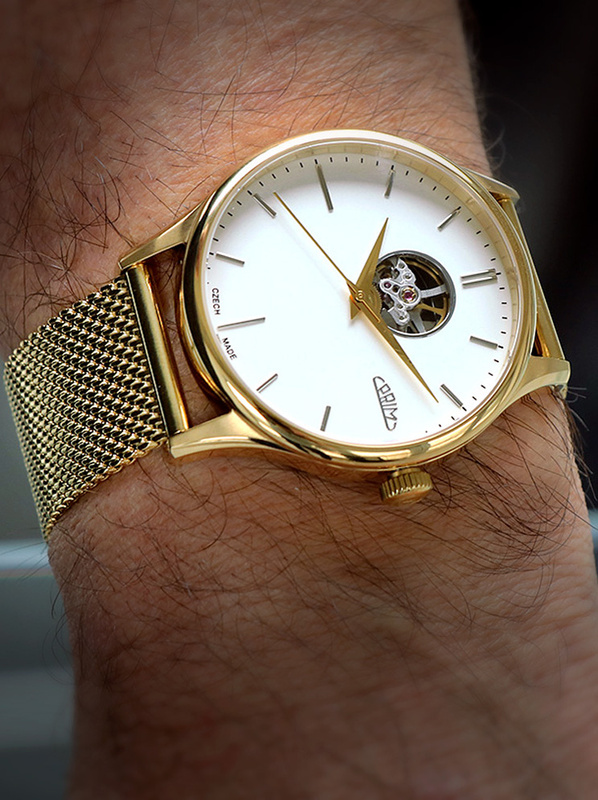 The sporty design is complemented by a rotary lunette with a minute scale and a one-way lock. 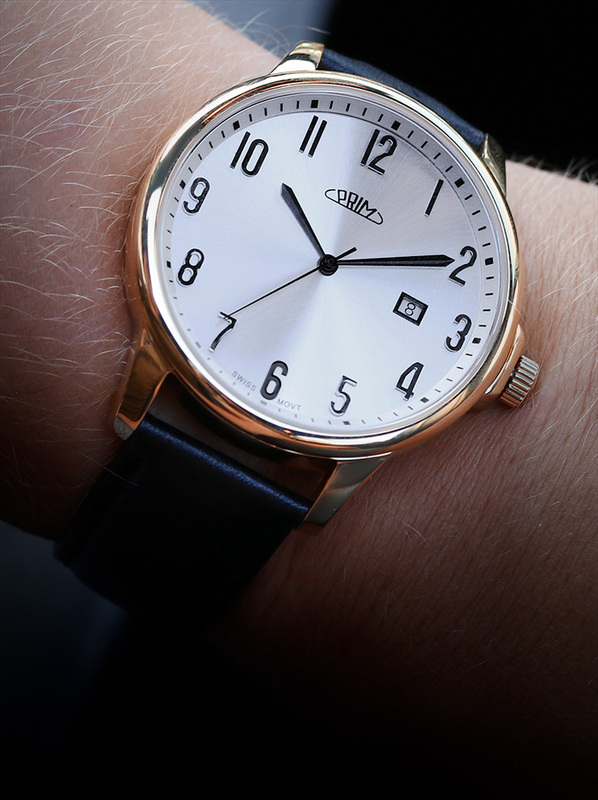 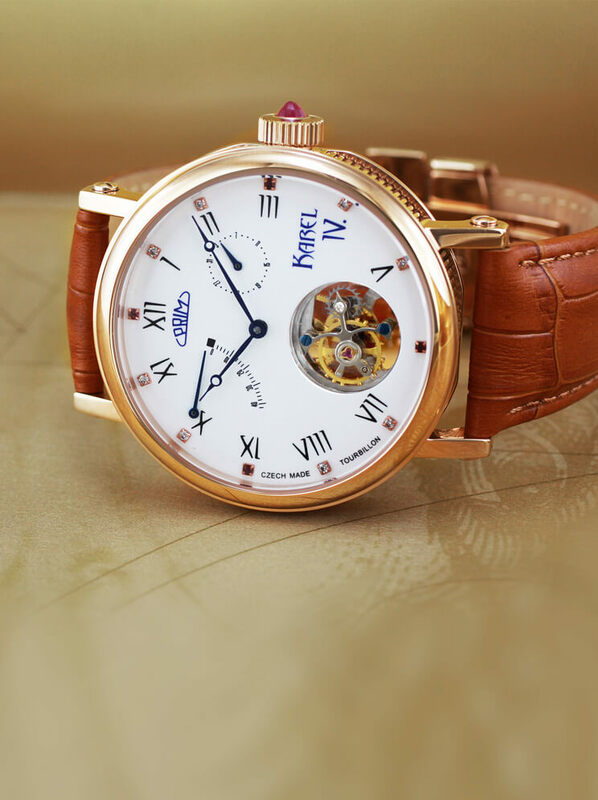 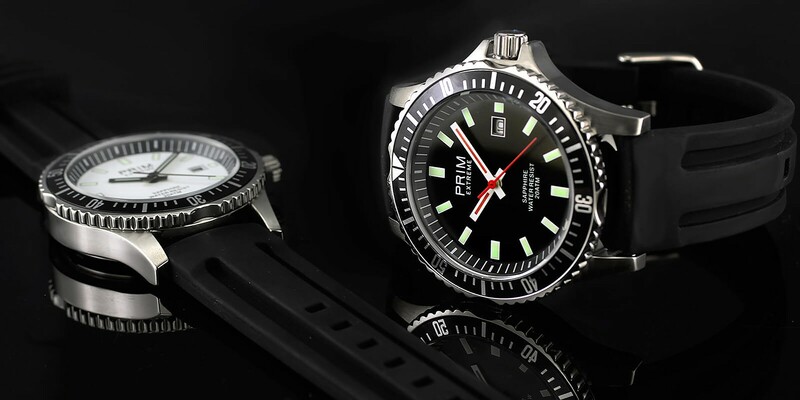 The certainty that these watches will enjoy a long life is derived from their top-class stainless-steel construction, protective sapphire glass and proven 2115 quartz movement. 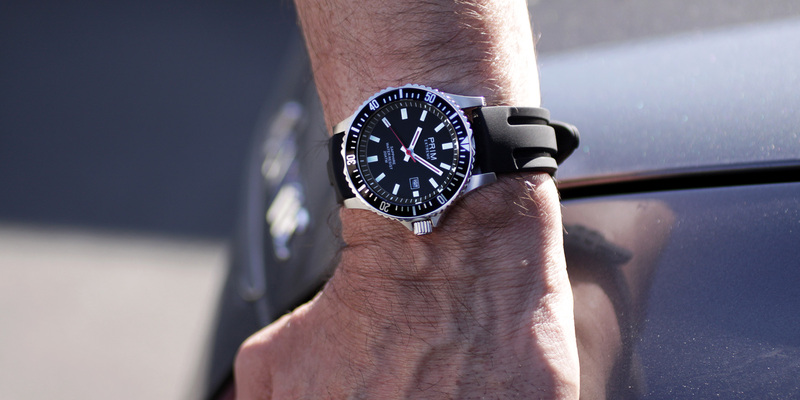 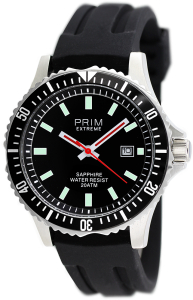 Thanks to the threaded crown and back of the case, you can wear them jumping into water or diving (water resistance of 20 ATM). 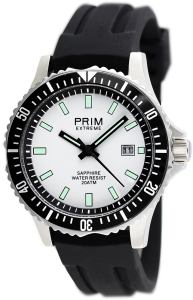 Unlike our other sport models, PRIM EXTREME is equipped with Extreme Lumini indices that will shine all night thanks to their fluorescence layer. 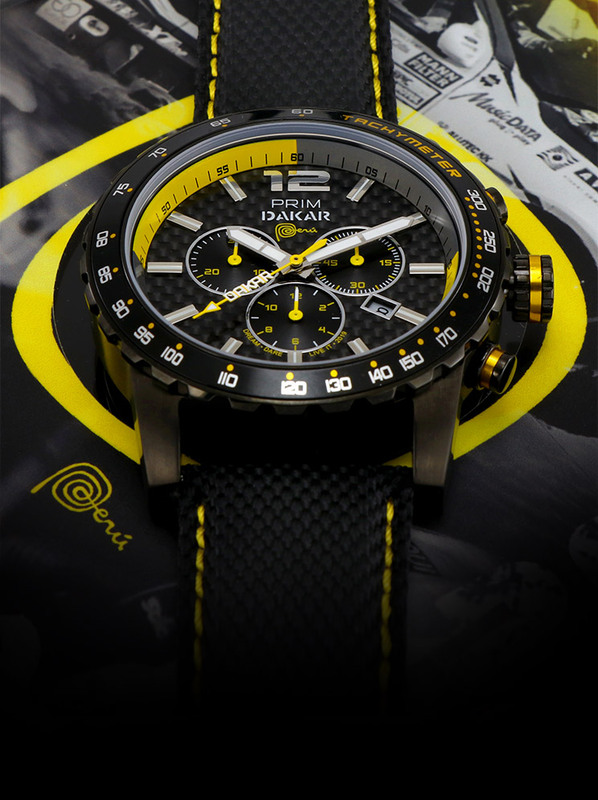 These sport watches come with a warranty card in a luxury box. 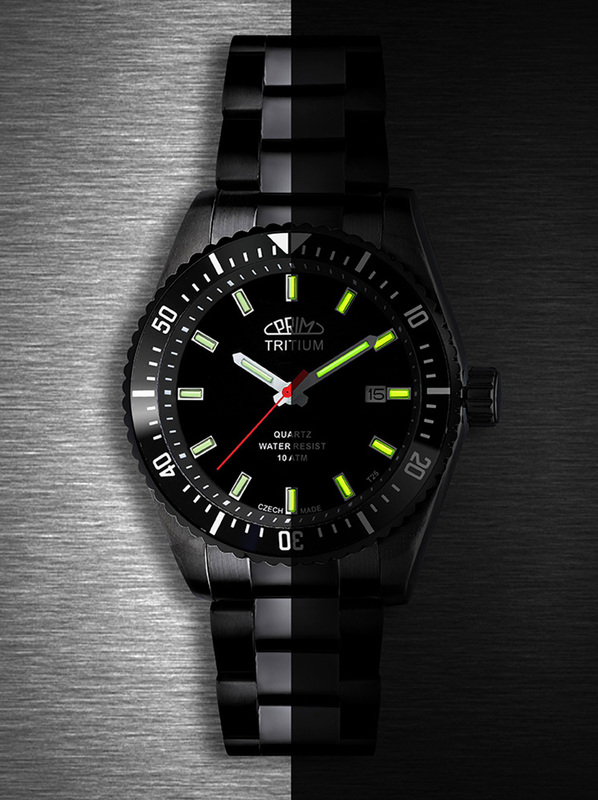 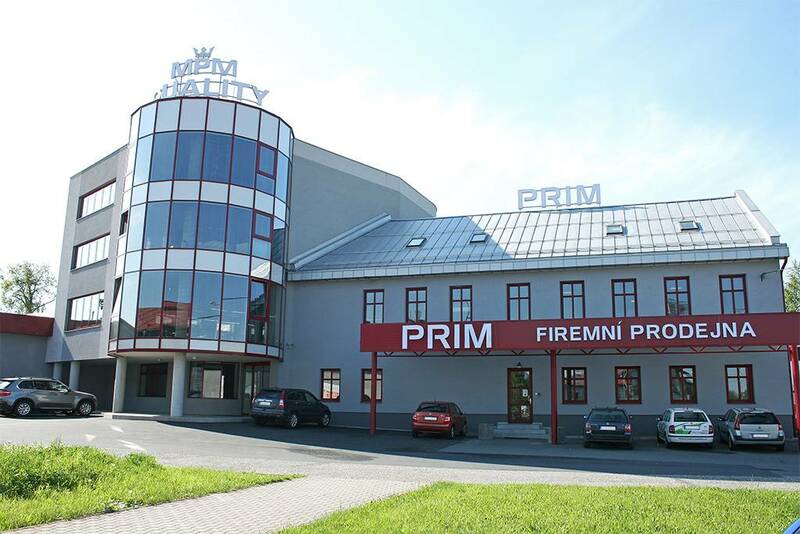 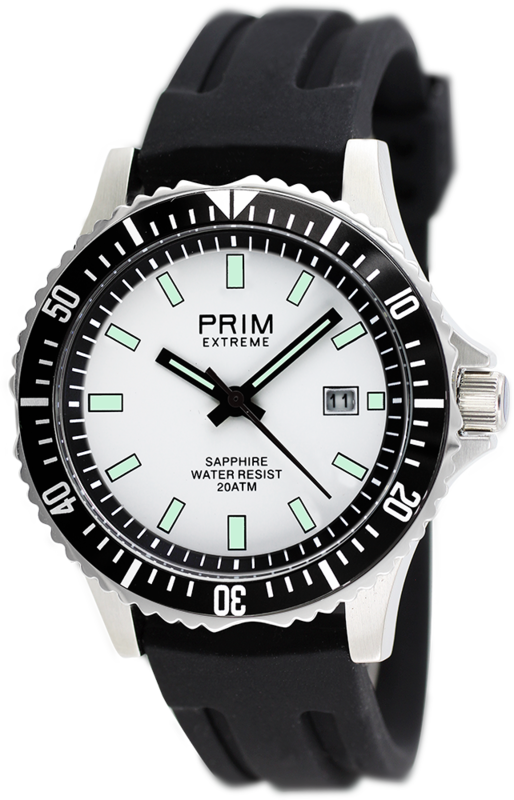 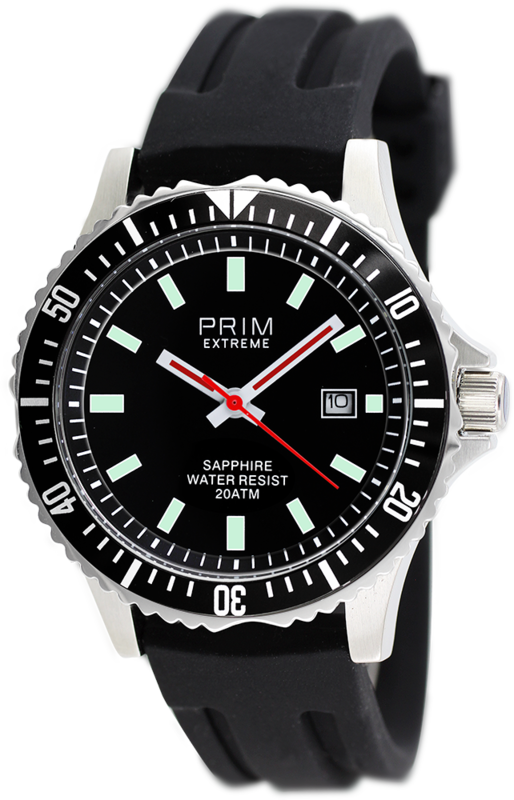 We offer PRIM Extreme watches in two colour variants. 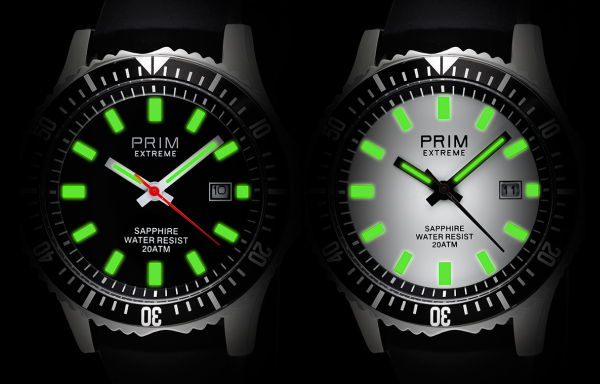 Inspired by the PRIM Sport model, the watch has also been given a special layer of Extreme Lumini on the indices and hands – ensuring perfect visibility in every situation.